We all agree that there is a need of a Digital Transformation to help civilization adapt to the Industrial Evolution being accelerated by the Internet Economy. The world is moving on and getting more things connected. No one wants to be left behind. Various cities have set out their Industrial Development Plans (IDP) and are ready to execute towards being a smart city. The Northern Cape province have realized the need to cultivate ICT and SME skills development in creating a vibrant and active economy. Through the Department of Economic development and Tourism (DEDAT), a plan of action had been taken to establish a Geek Culture in the province to grow an ecosystem towards an mLab. 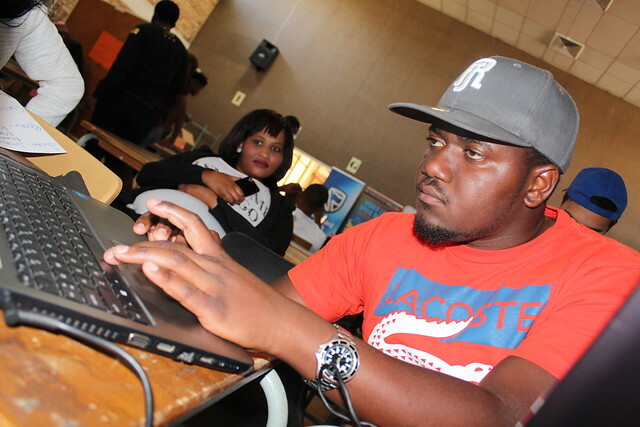 Geekulcha was called upon to help in this journey and had since created the NCDev Ecosystem to localize things and monitor the provincial scene of Techies, Innovators and Entrepreneurs. To date, the ecosystem had acquired over 450 members since the launch in April 2015. To start and ignite the Digital fire, various events/activities have been hosted in the province including tech trainings, Hackathons, Youth ICT and Business VacWork programmes, code weeks and more. These activities have proven to stimulate more innovation and developer confidence in the province. Collaborations are key and the one with Sol Plaatje University is fundamental in growing student innovation. Most activities have been hosted at the university. The Geekulcha Student Society(GKSS) was establish to grow the Geek Culture on campus and support student entrepreneurship. Making light work requires manpower and champions of innovation and change. It was necessary to explore and bring local small businesses aboard - the Diamond Creative Vision Hub (DCVH) and they been critical in driving the activities. Access to resources and support can never be enough and the Northern Cape innovators have a long way to go. It's always great to just start and the province has started. The DEDaT department through the Knowledge and Innovation Economy has seen the need to invest in skills needed for access, development and sustainability of innovation. The fire has been started, it needs to stay burning - it's all up to us to help the Northern Cape find their way and get them as great contributors to the national Digital Economy.